This common question comes down to two considerations; cost and timing. Sod is by far the more expensive method of establishing a lawn. Although an instant lawn is achieved through sod installation, diligent watering is still necessary for the first 4-6 weeks of establishment. Bucks County has ‘cool season’ grasses including Kentucky bluegrass, fine and tall fescues, and perennial rye. 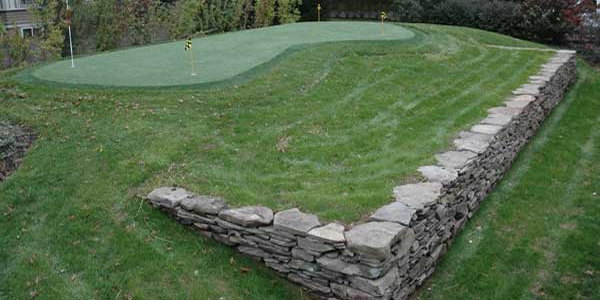 While bluegrass tends to be the most common sod variety available, fescues are also available for use and are better for heavy traffic areas, drought conditions, and partially shaded areas. Perhaps the best argument for sod installation over seeding is timing, as sod can be installed anytime during the growing season. Grass seed is best installed in late August through September (photo above shows a September seed installation after 4 weeks). The cool and moist conditions required for the 8 weeks of establishing a lawn are best this time of year. The grass will have the following spring to further establish prior to the heat of the summer. Early spring (April and early May) will occasionally yield good results, but competition from weeds is greater this time of year, and the hot summer months will make it difficult to get a nice lawn established. Grass seed is available in a wider variety of species than sod, and when the timing is right, it is a good money-saving alternative to sod.